James P. Hanley, 86, Hibbing, died Monday, April 2, 2018, surrounded by family, in the Fairview Range Medical Center in Hibbing. He was born May 21, 1931 in Flint, MI, the son of Earl and Lillian Hanley. 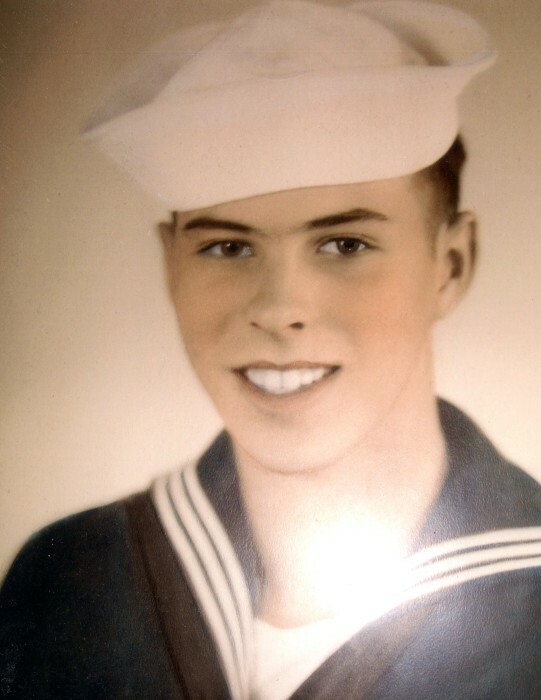 James moved to Hibbing in his youth and following graduation he serviced in the US Navy aboard the USS Higbee. Jim married Ruth ? on July 24, 1987 and had worked as a public works supervisor for the City of Hibbing. In his free time James enjoyed the golfing leagues at the municipal golf course or curling and visiting with his coffee buddies at the Sportsman’s Cafe. His favorite times, however, were spent with his family and his dag Daisy. He is survived by his wife Ruth, his daughters: Kathleen (Terry) Edmonds and Peggy (Roy) LaBrosse both of Hibbing, his grandchildren: Michael (Steffani) Edmonds, Ryan (Michelle) Edmonds, Amy (Hector) Ortiz, Kelli (Scott) Hoffman and Melissa LaBrosse, great grandchildren: Matthew Edmonds, Christian Edmonds, Jacob Edmonds, Mason Edmonds, Hanley Ortiz, Kalliope Ortiz, Merrick Hoffman, Aubree Hoffman and Vada Jo Hoffman, his extended family Patty (Mike) Modich of Side Lake, MN, and their children, Michael John (Jen) Modich and Christopher (Kristine) Modich, and their son Chris Modich, his sister in law Catherine Hanley and several nieces and nephews. He was preceded in death by his brother Earl “Bud” Hanley. Mass of Christian Burial will be held at 11 a.m. Friday, April 6, 2018 in the Blessed Sacrament Catholic Church. Visitation will be in the church on Friday from 10 a.m. until service time. Burial will be in the Maple Hill Cemetery with military honors accorded by the Mid-Range Honor Guard.